Dr Muritala Awodun, Executive Chairman, KW-IRS stated that capacity development has been the watchword of the Service as well as a strategy to sustaining the qualitative service delivery. He further stated that KW-IRS has since inception placed value on several capacity building programs with the latest of such program being the processing of International Organization for Standardization (ISO) certifications. 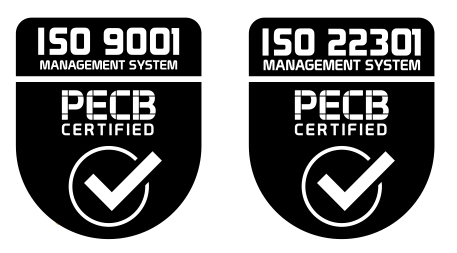 He shared the specific ISO certifications being processed which are Quality Management System and Business Continuity Management System certification. He posited that these certifications will place the Service on the pedestal of international standard. Dr Awodun declared this while addressing the Press in the second quarter 2018 media parley event which held on 15 August 2018. He reasoned holding of the media parley consistently to accountability to the people and expressed satisfaction on the transparency and answerability thus far. At the briefing, Dr Awodun centered his presentation on three major points which were revenue generation, sustainability of KW-IRS and the Community Impact Program (CIP) of the Service. He declared the revenue generated by the Service in the first seven months of 2018 as N11.66 Billion (Eleven Billion, Sixty-Six Million Naira) only. In the area of sustainability, the Executive Chairman reiterated the activities of the service in the area of capacity building and establishment of continuity international standard as the strategy to sustaining the value and integrity of the organization and its processes. One of the methods KW-IRS has adopted to the give back to the society and impact positively in the lives of the residents of Kwara is the model tagged Community Impact Program (CIP). This program has helped the Service in the area of communal service and development interventions. The program has touched several communities across the 3 senatorial districts in Kwara State and has helped in the mobilization of revenue in the State by fostering acceptance of the Service by the people. Dr Awodun on enquiry from the Press mentioned some of the projects embarked on in the year so far which has included donation of transformers, distribution of school bags and books to pupils, drilling of bore holes, clearing of drainages and refuse dumps, and tax club quiz competition in secondary schools, among several others. In his opening remarks, Mallam Muhammad Sabi, the Honorable Commissioner for Information and Communications expressed his pleasure in the performance of KW-IRS since the inception of the Service. He described the activities of the Service as representative of the protection of the interest of the people of Kwara State and the country at large. The Commissioner expressed that the Ministry of Information and Communications (MOIC) held KW-IRS in high esteem from the unprecedented performance recorded and the various dealings together. He also gave credence to the Executive Governor of Kwara State, Dr Abdulfatah Ahmed for establishing KW-IRS as the vital organ in the State that has made accountability and transparency its watchword, which is what gave rise to holding quarterly media sessions. The Kwara State Internal Revenue Service (KW-IRS) Annex Office located at Madeleke Plaza, Lajorin off Muritala Road has relocated to New Yidi Road, opposite Tuyil Pharmaceutical Ltd, for taxpayers’ convenience and better service delivery within Ilorin metropolis, Kwara State. Please note that you can make your vehicle registration at all our Motor Licensing Authority (MLA) offices across the State and continue to perform your civic responsibility by paying taxes as and when due for the strategic development of Kwara State. Furthermore, all payments should be made to KW-IRS designated commercial banks or through our online payment platforms on pay.kw-irs.com and www.quickteller.com/Kwirs. The Management and Staff of Kwara State Internal Revenue Service (KW-IRS) sympathize with the family, friends, people of Ilorin Emirate and Nigeria, over the demise of the former Chairman of Independent Corrupt Practices Commission (ICPC) and former President of the Court of Appeal, Justice Mustapha Adebayo Akanbi who died on Sunday 3rd June, 2018. During his life, Justice Mustapha Akanbi was one of the eminent that received and supported the Service from inception. He was an active taxpayer who saw tax as his civic responsibility to Kwara State. Justice Akanbi was always available to attend to any issue brought forward to him, He had the love of Kwara State at heart and will be greatly missed for his fatherly advice, encouragement and commitment. May Almighty Allah give Kwarans and the Emir of Ilorin, Alhaji (Dr) Ibrahim Zulu Gambari the fortitude to bear the loss. The Management and Staff of Kwara State Internal Revenue Service (KW-IRS) sympathize with the Monarch of Offa, Oba Mufutau Gbadamosi Esuwoye II over the tragedy of the bank robbery that claimed lives of Offa residents on Thursday 5th April, 2018. The incident was unfortunate and an act of depravity. We condole with the families of those who lost their lives in the calamity. May God comfort the hearts of their loved ones left behind. We urge the Federal Government to employ all measures to ensure the safety of lives and properties everywhere in Nigeria. The Kwara ‎State Internal Revenue Service ‎ (KW-IRS) resolved that Seventeen (17) out of theTwenty One (21) revenue items in the Approved List for Collection Act 1998 (as amended) collectable by the Local Government (LG) collections will now be collected by all the Sixteen Local Governments Area of the State. The Executive Chairman of KW-IRS, Dr Muritala Awodun, disclosed this during a Press Conference after the Joint Revenue Committee (JRC) meeting held with all the Chairmen of the LGs at the KW-IRS Corporate Head Office in Ilorin, the State Capital on the 5th day of April 2018. According to Dr Awodun, the remaining Four (4) items: Citizenship fee, Tenement ‎Rate, Sign Board & Advertisement and Telecommunication mast would be collected by the Service on behalf of the LGs. He said the decision to leave the four revenue items with the Service was reached at the meeting with all the 16 Local Government Chairmen. He added that the decision will enable the LGs leverage on the process and technological platform of the State Government collections. 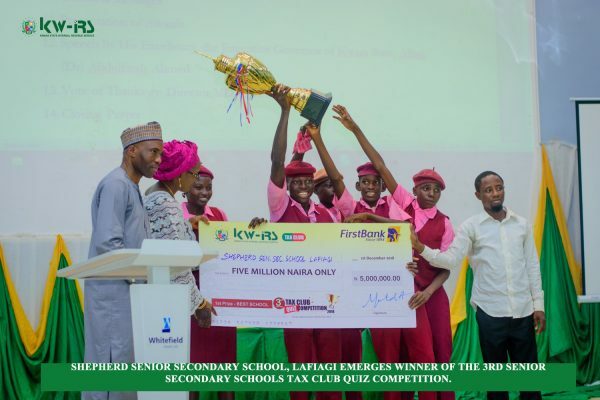 In his address, the Kwara State Association of Local Governments of Nigerian (ALGON) Chairman who is also the Chairman of Oyun LG, Joshua Omokanye ‎said there was no disagreement between the Local Government and Kwara State Internal Revenue Service (KW-IRS). He pointed out that LGs had observed and understudied the Service and the substantive Chairmen were now ready to take up the responsibility of collection using with their staff. The ALGON Chairman assured the pressmen that this was still in line with the provision of the law and LGs would continue to partner with the Service in their efforts to move the two tiers of Government forward. The Management and Staff of Kwara State Internal Revenue Service (KW-IRS) sympathize with the people of Omu-Aran in Irepodun Local Governemt over the demise of their King, Olomu of Omu Aran, Oba Charles Oladele Ibitoye. During his time he was one of the monarchs that received us and gave his support when the Service was starting. He ensured his subject oblige to their civic responsibilities and personally organized and supervised the collection of cattle tax in his community. He had the love of the Kwara State at heart and will be greatly missed for his fatherly advice, encouragement and commitment. Also, the death of Chief Emmanuel Adesoye is a great loss not only to Offa but to Kwara State and Nigeria at large. Chief Adesoye was a tax ambassador who paid his taxes as and when due. May Almighty God grant the Olofa of Offa, Oba Mufutau Gbadamosi and the people of Offa the fortitude to bear the loss of a great industrialist. A total of N198, 484, 720.96 has been remitted by the Kwara State Internal Revenue Service (KW-IRS) to the 16 local government councils in the State between January and August, 2017, being taxes collected on their behalf within the period under review. The breakdown was contained in a report released by the Revenue Service on Wednesday in Ilorin. According to the report, the total revenue remitted to the 16 local governments (LGs) in January was N27, 667, 550.98, while in February, N25, 860, 106.14 was remitted to their accounts. For March, they got a total of N28, 353, 648.17. In April, KWIRS remitted 24, 034, 830.10 to the LGs and 24, 174, 940.23 in May. In June, the LGs received N26, 745, 259.84 and for July, they got a total of N25, 932, 652.15. However, for the month of August, the revenue that has been remitted to the LGs as at 24th of August stood at N15, 715, 733.35. A further breakdown of the figures shows that from January to August, Asa LG got a total of N7, 469, 513.16; Baruten LG received the sum of N40, 327, 384.64, Edu LG got N7, 606, 561.00; Ekiti LG received N2, 649, 904.33, while Ifelodun LG got N10,294, 156.54. Also, Ilorin East got N12, 740, 846.86, Ilorin South; N20, 979, 776.53, Ilorin West; N40, 905, 197.96, Irepodun; N7, 715, 141.67, Isin; N2, 743, 221.00, Kaiama; N12, 368, 829.64, and Moro got N7, 806, 852.97. Similarly, Offa LG received a total of N12, 785, 521.55, Oke-Ero got N2, 646, 221.00, Oyun N3, 824, 246.00, while Patigi received the sum of N5, 621, 346.16. The report also shows that the LGs have about 18 revenue lines, but KW-IRS only collects revenue on behalf of the LGs from average of 12 lines. Following the formal launch of the Voluntary Assets and Income Declaration Scheme (VAIDS), the Acting President announced and declared every Thursday, beginning from 1st July, 2017 to 31st March, 2018, (throughout the period of VAIDS) as TAX THURSDAY. In view of the above, the Executive Chairman has directed that effective this Thursday, we at KW-IRS shall begin to wear our T-shirts on Thursdays instead of Wednesdays. 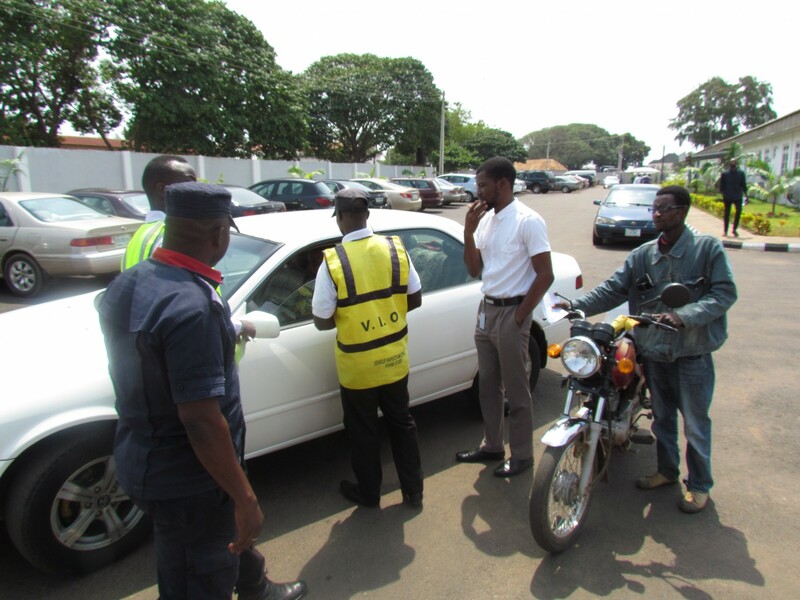 The Directorate of Enforcement, Legal and Monitoring of the Kwara State Internal Revenue Service (KW-IRS), in collaboration with Vehicle Inspection Officer (VIO) and the Nigeria Security and Civil Defence Corps (NSCDC), kick-started the sensitization of the public on the new Road Tax Enforcement Exercise which commenced on Tuesday, 1st November, 2016, at KW-IRS Headquarters; where the vehicle particulars of members of staff were thoroughly checked. The new Road Tax Enforcement Exercise has taken a new dimension with the introduction of a vehicle renewal system which will fast-track the process of renewal of vehicle particulars. We therefore use this medium to urge the general public to help support the success of this process by ensuring that all vehicle particulars are up-to-date, as this will increase the IGR and thus stimulate the development of the State. Kwara State Internal Revenue Service (KW-IRS) has inaugurated a team to comb the 16 Local Government Areas of the State for enforcement of tax payment, with warnings that defaulters risk various categories of penalties including imprisonment. For the growth and provision of social services, security, good health system, the Service is calling on all tax payers to fulfill their obligations to the state. Play your part, pay your Tax. The Director of Enforcement, Legal & Monitoring, Dr Isaac Gbenle stated this at a press release following the Enforcement committee meeting held on the 12th October, 2016 at the Corporate office of KW-IRS. He stated that, beginning from 1st of November, 2016 KW-IRS will embark on aggressive enforcement of payment of Taxes, Fines and Levies, warning that defaulters risk serious prosecution. He therefore enjoined all eligible tax payers in the state to check the status of their tax liabilities, ensure they comply with the true elements of the law, and seek assistance via the newly implemented Tax Payers Advocacy unit in Enforcement, Legal & Monitoring Directorate of KW-IRS for assistance where needed. In a bid for the Kwara State Internal Revenue Service (KW-IRS), the official body empowered by the State Government to collect revenue on behalf of the State government to further ensure transparency in the disposition of its duties, the Kwara State Internal Revenue Service (KW-IRS) sees it a crucial need for Kwarans to be constantly acquainted with the update of revenue collected by KW-IRS. To achieve this, the Executive Chairman, KW-IRS, Dr. Muritala Awodun in his usual practice again featured on “The Platform”, the people’s parliament programme put together by the Kwara State Broadcasting Corporation, Radio Kwara located on the frequency of 99.0 FM Monday, 19 September 2016. The Executive Chairman, KW-IRS, Dr. Muritala Awodun revealed to Kwarans that the Kwara State Internal Revenue Service (KW-IRS) have been able to collect a total of 11 billion naira in 8 months for the year 2016 against the 7.2 billion naira collected by the old Board of Internal Revenue Service (KBIR) all through the 2015 calendar year. Dr. Awodun also used “The Platform” medium to inform Kwarans of the Infrastructural Fund Kwara (IFK) project recently put in place by the Executive Governor of Kwara State, Dr. Abdulfatah Ahmed for adequate contributions towards the realization of state projects. The Executive Chairman, KW-IRS, further enumerated on the contribution strategy designed by the State government to source funds for the Infrastructure Fund Kwara (IFK) programme which is by setting aside 500 million naira from the Internally Generated Revenue (IGR) collected by KW-IRS monthly. He affirmed that with this strategy, contractors are now being mobilized back to site to commence developmental projects for the state and that the Executive Governor have also assigned “Trustees” who will ensure that contractors are paid and also ensure that IFK funds are not mismanaged. Dr. Awodun further leveraged on his appearance on “The Platform” to correct the wrong impression going round town that KW-IRS has taken over the duties of the Ministry of Works and Environment. He stressed such an impression is not in any way correct. 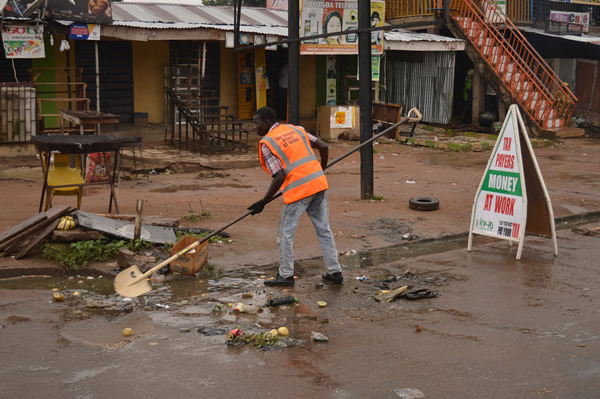 The EC, KW-IRS, clarified that the Kwara State Internal Revenue Service (KW-IRS) believes that Kwarans can be the change they want to see and that was what necessitated the calling together of KW-IRS staff on the last Saturday of August 2016 which was a sanitation day to clear the debris in some drainages using Tanke area. He corroborated by stating that the concept to achieve community service of KW-IRS and also awake Ministries that are involved in that regards as a body that is close to the people and understands the pressing needs of the people. He stated that the sanitation exercise conducted by KW-IRS was also to sensitize Kwarans on the need to ensure that people don’t throw dirt inside the drainages and also compel people to be responsible. Dr. Awodun further stated that the sanitation project embarked by the Service is also in relation with “Environment” which is one of the five Es set aside by the Service as areas for the Service to carry out its Community Impact Programme (CIP) and the five Es are: Environment, Education, Enterprise, Employment and Empowerment. The Kwara State Internal Revenue Service (KWIRS) has commenced sensitization campaign on how to make Kwara roads and environment clean. The Executive Chairman of KWIRS, Dr. Muritala Awodun, who led KWIRS team today during the monthly sanitation exercise, said the awareness campaign became imperative as the change that everyone was clamouring for cannot be achieved by folding our arms. Dr. Awodun said the sensitization campaign was informed by the need to make Kwara tidy, adding that the clearing of drainage is to allow for free flow of water and avoid blockages. According to him, the patching of potholes which began with Tanke-University of Ilorin road would soon be extended to other axis like Asa Dam road, Sango and many others. The exercise, he said, will serve as a temporary measure of making our roads to last long. Dr. Awodun said plans have been completed to purchase 40 tricycles that would be clearing waste on a daily basis. He disclosed that nylon where the waste will be packed will also be distributed to each household. The Ministries of Environment and Works had earlier been briefed and in full support of the agency’s gesture. The modalities for obtaining the new citizenship certificate for Kwara indigenes have been described as a good measure and a right step towards curbing the menace of losing to non-Kwara indigenes. In his response, the Olofa of Offa, Oba Mufutau Ghadamosi Okikiola Esuwoye said there is a need to include the logo of each Local Government in the certificate. Oba Mufutau also urged all the stakeholders involved to create more awareness and enlightement for better understanding of the stand of Government activities and policies. In view of the visit made the Kwara State Internal Revenue Service (KW-IRS) led by the Executive Chairman of the Service, Dr. Muritala Awodun on 18 June 2016 to the burnt site of the 40 razed shops at the Baboko Market. The Executive Chairman, KW-IRS, Dr. Muritala Awodun informed the victims of the unfortunate fire incident and the market executives that the Kwara State Internal Revenue Service (KW-IRS) with the approval of His Excellency, the Executive Governor of Kwara State would in six weeks reconstruct the 40 burnt shops so that the source of living of the affected people would not be shutdown. Alas! The 40 reconstructed shops were commissioned at exactly 12:30pm on 15 August 2016. Present at the remarkable event was His Excellency, the Executive Governor of Kwara State, ably represented by the Permanent Secretary, Commerce and Cooperative, Alhaja. Tinuola Ayisha Abubakar, the representative of the Senate President, Alh (Dr) Abubakar Bukola Saraki, the Mandate Director-General, Hon. 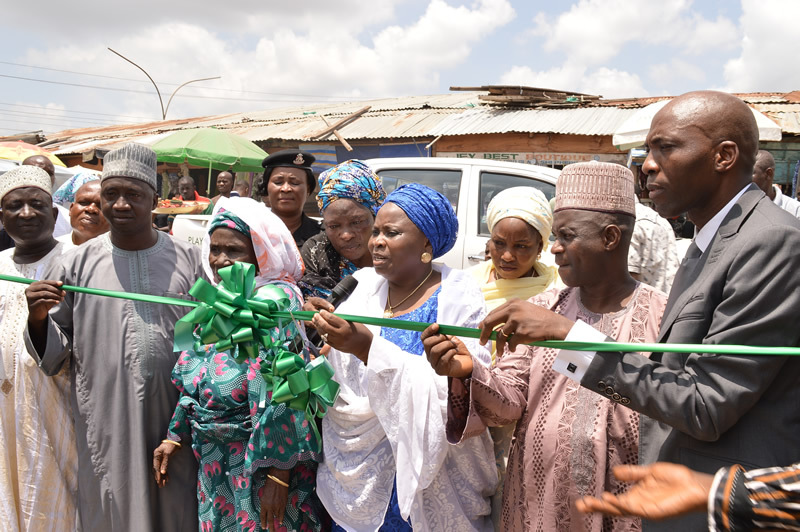 Wahab Issa, the Chairman, Ilorin West LGA, Iyaloja, Ojatuntun Market, Babaloja, Ojatuntun Market, the Executive Chairman, KW-IRS, the Director, Admin & Corporate Affairs, Mrs. Adenike Babajamu, Deputy Director, Informal, Sector, Mr. Lekan Rotimi, KW-IRS staff, Market people, Gentlemen of the press. Dr. Muritala Awodun expressed appreciation to all present. He reiterated on the commitment of KW-IRS to ensure that revenue collected by the people of Kwara State is used for the development of Kwarans. He admitted that the welfare of Kwarans is utmost to the Executive Governor of Kwara State, Alh. Abdulfatah Ahmed, hence, the great support received by KW-IRS to achieve this. He mentioned some of other projects conducted by the Service as an intervention scheme for Kwarans which range from the provision of perimeter fence for the Kara market of Ajase-Ipo, the donation of fund to roof the reconstructed shops of Owode market, Offa, Security provision for the Kaiama market, to mention but a few. The representative of the Hon. Commissioner, Commerce & Industry charged on the need for adequate cooperation with the demands of KW-IRS. She explained that the constant drop in the Federal allocation and the incessant bombings of the oil wells has greatly affected the State and even Nigeria as a whole. She stated that the only way out is a refocus into tax collection and a keen approach to growing the Internally Generated Revenue (IGR). She however admitted that the task ahead of KW-IRS cannot be achievable without adequate cooperation by the people because it takes two to tangle and the comfort of the tree is also the comfort of the bird. She admonished the market people never to relent in communicating their needs to KW-IRS. She stated that one of the duties assigned KW-IRS is to give feedbacks on the needs of Kwarans to the state government as a body that is closer to the people. She assured the people that the Kwara State Internal Revenue Service (KW-IRS) works together with the Ministry of Commerce and Cooperative and such needs would be looked into for the development of the market people and Kwara State in general. Speaking on behalf of Alhaji. Dr. Bukola Saraki a.k.a the Leader, Senate President of the Federal Republic of Nigeria, the Mandate Director-General, Hon. Wahab Issa, relayed the greetings of The Leader to the market people. Hon. Wahab Issa on behalf of the Senate President condoled with the victims of the inferno. He announced that the Senate President who is a philanthropist just like his late father Dr. Olusola Saraki has donated a token of about 5 million naira as compensation to the victim of the inferno. The DG, Mandate stated that the Senate President is supporting of the burnt shops with 100,000 naira each while the kiosk victims will be given 50,000 naira each. In continuation of its efforts to drive change and stimulate the transformation of tax processes and procedures in Kwara State, the Kwara State Internal Revenue Service (KW-IRS) on Saturday, 6 August 2016 commenced collection of cattle tax popularly known as “jangali”. The Deputy Director, Informal Sector, Mr. Lekan Rotimi, led the staff of the Informal Directorate to the Noble Ranch, located at Ogidi, Oloje, Ilorin South Local Government Area (LGA) of Kwara State. In his welcome address, Mr ’Lekan Rotimi explained that things are no longer what they used to be in the past, hence, the need to embrace technology so as to achieve the expected result at optimal level. He stressed the significance of the Kwara Resident Identification Number (KRIN) which is aimed at aiding the Government in its planning policies and urged all residents of Kwara State to support the scheme for them not to be excluded from essential public services and benefits. The Deputy Director, Informal Sector, the directorate responsible for the dealings with the people at the unstructured level as such, the collection of cattle tax, Mr ‘Lekan Rotimi stated that three parties are involved in the process of cattle tax collection; KW-IRS as the tax collector, cattle owner as the taxpayer and technical partner who will facilitate the process through technological input. He charged that the three parties have to work interchangeably for success to be attained on their given assignment. Explaining to the cattle stakeholders present at the flag off of cattle tax collection at the Noble Ranch, Ogidi, the Unit Head, Cattle tax, Mr. Bello Mohammed who is also in charge of the technological aspect of cattle tax collection under the Informal Directorate, gave an insight on the two phases involved for the collection of cattle tax. The phases which he stated as the offline and online phases. To demonstrate this, information about the Chairman, Noble Ranch, Alhaji Oba Ajara, was registered on the database and subsequently tied to the cattle owner’s card issued to him. In the offline phase, cows are tagged using the Geographical Code popularly called the QR code which can be scanned with a QR enabled device. This process is an electronic process and what the Kwara State Internal Revenue Service (KW-IRS) calls eTagging. It is important to note at this juncture that every eTagged cow have been linked to its owner’s card. This makes it easy for monitoring and enforcement team to do their job. Alhaji Ajara flagged off the cattle tax collection by paying for the cattle in his ranch. In his remarks, Alhaji Ajara expressed that the process is extremely important; giving that technology has become a key factor. Therefore, the Service has chosen to tread on the best path by adopting the method of electronic tagging, for he could recall that cattle were used to being tethered in the past but such cannot be adopted anymore. He further highlighted the need for the government to enforce the use of slaughter houses which would foil theft of cattle. Alhaji. Ajara further pledged to manifest absolute sincerity when it comes to declaring the number of his cattle. He stated that short changing the government is not to either party’s advantage. 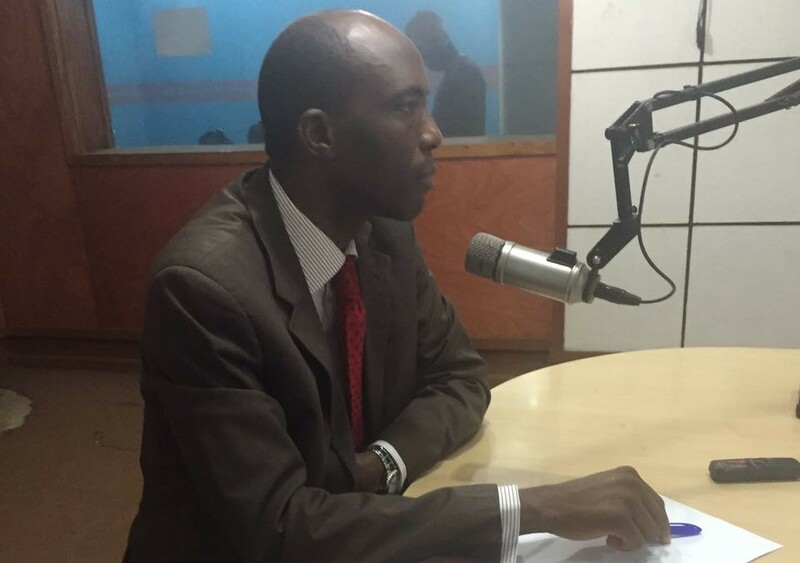 According to the Deputy Director, Informal Sector, in an interview he granted the Kwareve News team, he explained that a substantial amount is expected from the jangali project having realised from the survey recently carried out. Some individuals have as many as 200 or more cattle and considering the law provides the rate per cow to be N300, it is indeed an advantage on the revenue side. However, “what is expected of the government through the Service is basically what will be given back to herdsmen, because if they could take a moral obligation to fulfil their civic obligation, it is also necessary for the government to show responsiveness to some of their needs”. Mr. ’Lekan Rotimi further stated that the technology in place has been seen as an indigenous one that covers the peculiarity of the State, so practicable measures will be taken to sustain it. 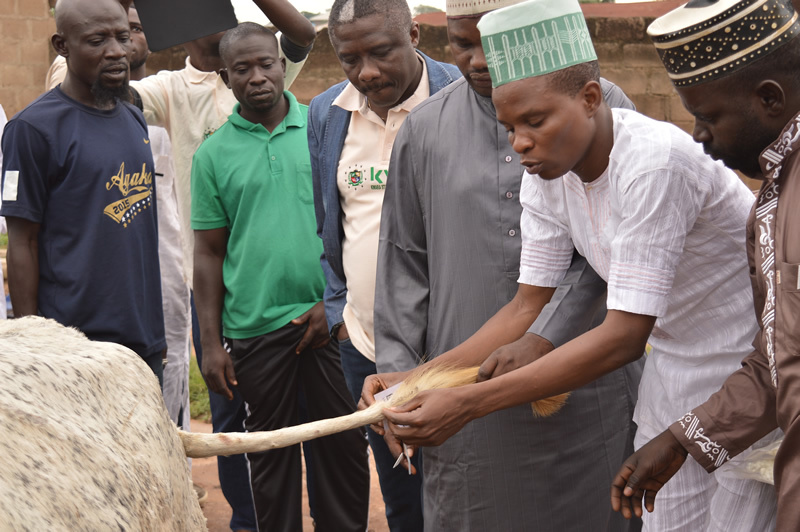 He added that as soon as they are successfully done with the collection in the Kwara Central the process will be replicated in other senatorial districts, most especially Kwara North where a large number of cattle is found. The Kwara State Internal Revenue Service (KW-IRS) visited the Baboko Market on 18 June 2016 in response to the forty (40) shops burnt in the fire incident of 30 May 2016. The KW-IRS team had earlier visited the market to empathise with the victims of the unpleasant event. The Service recognised the need to respond quickly as the means of livelihood of many have been put to a halt due to this unfortunate event. The visit was to commence the reconstruction project of the shops. The KW-IRS team led by the Executive Chairman, Dr Muritala Awodun was well received by the Kwara State Iyaloja General, the Baboko Market Executives and the market people. The Iyaloja General apprised that the public to realise from this event that it pays, to pay tax. She said it is obvious that it is from taxes paid by some residents of Kwara that the State Government can access funds for situations such as this which will benefit many. She enjoined all to ensure prompt and appropriate payment of taxes so that more of such projects can be enjoined. Dr Muritala Awodun assured those present that as stated in the vision of the Service, our work entails ensuring that the revenue mobilised is channelled towards the development of Kwara State. He reminded the residents of Kwara that KW-IRS listens to the feedback from people so that it can appropriately advice the State Government on social and economic policies. He assured the Baboko Market community the project will be done with utmost urgency so that the people can resume normal business activities as soon as possible. Monday, 30 May 2016 was an unpleasant day for some shop owners at the Oja tuntun market, Ilorin (popularly called Baboko market) following an outbreak of fire which engulfed 40 (forty) shops. The fire was reported to have started in the early hours between 1am and 6am on Monday. The cause of inferno was traced to the sudden upsurge of electric power supply and the poor habit of not turning off all electrical appliances before retiring at the end of the day. The secretary of the market Executives, Mr Ladi Olororo who spoke to KW-IRS media officer added that the fact that generators were kept in many shops escalated the inferno. 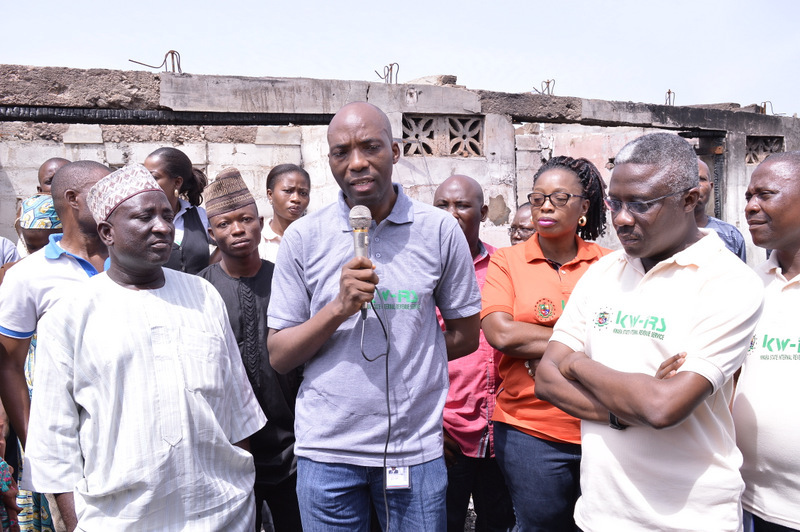 The KW-IRS team on Tuesday 31 May, led by its Executive Chairman, Dr. Muritala Awodun paid a visit to the market to show their sympathy to the victims of the inferno, the Market Executives as well as the market traders in general. With deep concern, Dr. Awodun expressed shock at the loss adding that it was becoming too frequent and as such there was a need to find a lasting solution to prevent future occurrence. He requested the Iyaloja General and the Babaloja General to make available the list of those affected by the fire incident, the numbers of shops affected and the value of loss in the outbreak to enable him make recommendations to the Executive Governor of Kwara State, Alhaji (Dr) Abdulfatah Ahmed. The Secretary of the Oja tuntun Market Executives, Mr. Ladi Olororo, expressed his appreciation to the KW-IRS team for their concern. He explained that even though they got response from the State Fire Service, putting off the fire was not an easy task because of the poor access to the burning shops. This he added led to the consummation of additional two shops in the early hours of Tuesday 31 May 2016. Mr. Ladi informed the KW-IRS team of the visit of His Excellency, the Executive Governor of Kwara State, Alhaji. Abdulfatah Ahmed to the site on the day of the incident. Dr. Awodun admonished the Market Executives and the market traders as a whole to take precautionary measures in order to prevent future occurrence of fire outbreak. He emphasised that this has to be jointly worked out by the market Executives and the market traders as a whole. He admonished the market people to ensure that electrical appliances are put off daily at the close of business so as to ensure the safety of lives and properties. He assured that KW-IRS will report the incident by way of feedback to the Executive Governor. With a passion to impact the youth on ways to make a living by becoming entrepreneurs and by leveraging on creative ideas that can engender creation of resources. Dr. Muritala Awodun, the former Dean, School of Business and Governance and founding Director, the Centre for Entrepreneurship at the Kwara State University before his appointment as the Executive Chairman, Kwara State Internal Revenue Service (KW-IRS) gave a lecture to the students of Landmark Business Administration and Corporate Analyst on the theme: Becoming successful as an Entrepreneur in Today’s Business World at the Landmark University, Omu-Aran on 6 June 2016. After the reading of his profile by Dr. Mrs Alao, Patron, Landmark University Business Administration and Corporate Analyst (LUBACA), Dr. Awodun, the passionate teacher mounted the podium to do what he knows best by speaking to the to the theme of the seminar. He express how delighted he gets every time he has the opportunity to speak to young graduates on how they can make the best out of life without the need to wait for any white collar job. He however expressed profound appreciation to the management of Landmark University, Omu-Aran, especially the Department of Business Administration for the opportunity given him to share with the students of the prestigious institution from his wealth of experience. Dr. Awodun further shed light on the 5 perspectives of entrepreneurship which are: People, Process, Skills, Methods and Ends. These are the basic requirements that leads to being a successful entrepreneur. 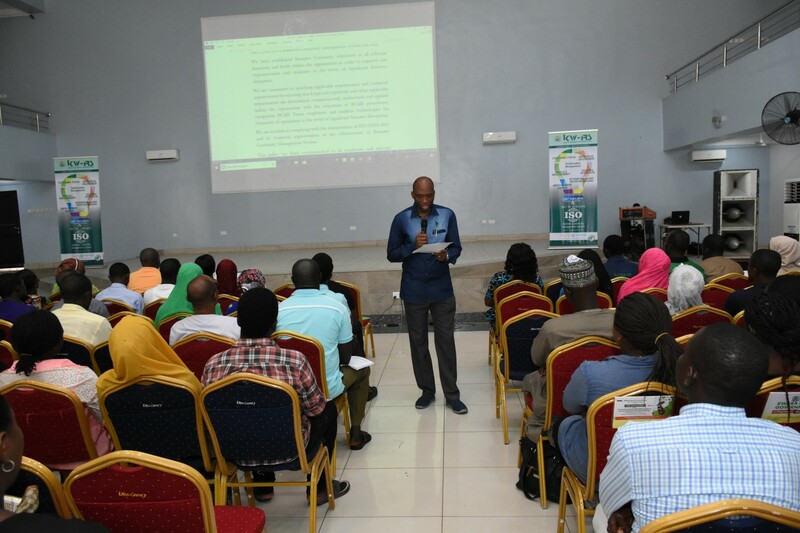 Dr. Awodun emphasized on how the above listed interworks and inter relates as they cannot be separated as a complete ingredients for a tasty soup of entrepreneurship. Having talked about people and the perspective of entrepreneurship which is the number one perspective to be put into consideration when a potential entrepreneur is at the drawing board, Dr Awodun added that the prospective entrepeneur has to bear in mind that whatever is the outcome of his plan must be something that would work for people who will be his sole clients of whatever his thoughts are. Dr. Awodun spoke to the second perspective of entrepreneurship, i.e., Process. According to the passionate lecturer, he defines process as the point of ideation which is inseparable from innovations, availability of resources, Enterprise, i.e., setting up the venture itself and the creation of employment which erupts as a result of that. He however enumerated the importance of commitment so as to sustain the process stage which can be lost to procrastination or lack of proper strategy and the detriment of the product development which is supposed to lead to employment for the entrepreneur as well as others and the realization of profit for him which is the key word for success. Step by step, the Guru of entrepreneur in an atmosphere of passion for what he knows best as created by him explicated the third perspective of entrepreneurship which is the skills perspective. He defines skill as the talent, dexterity as well as the proficiency required by an entrepreneur to succeed. He broke this down to the vision(capacity to create) required by an entrepreneur, the passion, resilience and the never give up spirit mandatory for an entrepreneur because challenges is inseparable from life and the ability to weather the storm is what makes the winner. He further itemized the ingredients tagged to the skill perspective which are self- reliance, competence, motivation and decisiveness. Dr. Awodun spoke about the importance of risk management to an entrepreneur which is a must have for an entrepreneur and the ability for an entrepreneur to translate vision to reality. Dr. Awodun also gave an insight on who an intrapreneur is. He characterized an intrapreneur as the leaders of an organization and the main driver of an organization. In this case, a visioneer of an idea may not necessary be a working team of his vision, he mostly in this context gives out his vision to experts in that regards to pursue and run with his dream. He further expounded on the fourth perspective which is Enterprise, that is, the medium of affecting and impacting and the last perspective which is the End perspective which he says is idea merged with innovation which results to adding value. He however said that innovation is one percent of inspiration. Dr. Awodun also stressed the importance of the mind-set towards the success of an innovation as the mind-set of an entrepreneur ends up to be the reflection of his product as to whether it would succeed or not. He enumerated the effect of one’s character which also reflects on the aftermath of one’s effort towards success. This implies the importance of discipline and diligence to an entrepreneur. Full of appreciation to Dr. Muritala Awodun for the lecture delivered which has opened up the understanding of the Business Administration students of Landmark University and has shown them the right ways of getting the best results out of every opportunity that comes their way, the LUBACA president; Mr. Tochukwu Odimgbe commended Dr. Awodun and plead for the Association to be obliged his presence subsequently as they intend to draw more from his wealth of his experience. In its tour round the various communities in Kwara South to sensitize, seek for support as well as the blessings of the Royal Fathers, the Executive Chairman, KW-IRS, Dr. Muritala Awodun in company of Director, Admin and Corporate Affairs Directorate, Mrs. Adenike Babajamu and the Deputy Director, Informal Sector, Mr. Lekan Rotimi led the KW-IRS delegates to the palace of the Elese of Igbaja land, HRH, Alhaji. Ahmed Awuni Babalola Arepo III who is the Chairman, Traditional Rulers of Ifelodun Local Government Concil. Present at the event were 22 traditional rulers such as HRH, Oba. A. Adelodun, Elesa of Oke-Ode, HRH, Oba. Y.A Buari, Vice Chairman, Olomu of Omupo, HRH, Oba Adebayo Akolade, HRH, Olora of Ora, HRH, Oba. S.A. Adeyeye, Oludofian of Idofian. Having paid homage to the Elese of Igbaja land in his Royal Chambers to establish the presence of the KW-IRS team before proceeding to the traditional ruler’s council where the meeting was conducted, the Ifelodun Local Government Chairman, Alhaji Ayinde. A Salami welcomed Dr. Awodun and his team on behalf of the Elese of Igbaja land. He spoke of the importance of money in every subject of man’s need including his existence even in the area of religion. He linked this point to the decision of His Excellency, Alhaji. Abdulfatah Ahmed, the Executive Governor of Kwara State for establishing the Kwara State Internal Revenue Service which is intended to find a lasting solution to the financial situation of the State through the collection of revenue for the State. The Ifelodun Local Government Chairman confirmed that the establishment of KW-IRS is a relief for the local governments following the harmonization of revenue collection which gives KW-IRS the power to collect revenue on behalf of the local governments. He stressed that this have helped collection at the local government level and have helped moneys collected get to the right coffers. Alhaji. Ayinde Salami applauded the legacy of the Ifelodun Traditional Councils which have supported the Abdulfatah’s administration. He explicated that the traditional rulers of communities in Ifelodun Local Government go as far as paying revenues on behalf of some of their kinsmen that are challenged in one way or the other so as to keep them from being embarrassed by the law. In his remarks, HRM, Elese of Igbajaland went down the memory lane to when Tax and Agriculture were the major source of income by our nation and the complete deviation from it by our rulers during the oil boom. He was however excited about the decision of His Excellency, the Executive Governor of Kwara State to pay attention to revenue and also revamp the revenue sector through the establishment of the Kwara State Internal Revenue Service (KW-IRS). Full of appreciation for the opportunity given to the KW-IRS team despite the short notice Dr. Muritala Awodun, the Executive Chairman, KW-IRS gave a brief on the rationale for the establishment of the KW-IRS. He established that one of the reasons for the establishment of KW-IRS is to ensure that revenue collected gets to government coffers and also give feedback to the government on the pressing needs of the people for government’s urgent intervention. Dr. Awodun explained the reasons for the collection of the local government revenue by KW-IRS; for proper accountability and for the harmonization of collection so as to control possible cases of multiple taxation. Dr. Awodun further explicated that this decision was done with the consent of all the local government chairmen in the State with an MOU signedby both parties. Reacting to the speech delivered by the EC, KW-IRS, the Olomu of Omupo land, HRH. Oba .A. Adebayo Kolade stated that the Land Charge collection will yield more at the State Capital. He stressed that 80% of the buildings they have within their community are dilapidated mud buildings that cannot generate any revenue for the State government. Using his experience as a former revenue collector, he advised strongly that the Service should investigate its proposed consultants before engaging them so as to be sure the required sanity is achieved. He also admonished the management and staff of KW-IRS to be honest, and sincere in their dealings with the people so as to merit the desired trust. He however called for the harmonization of the development levy to be inculcated into the PIT for the artisans so as to further control cases of multiple taxation. Dr. Muritala Awodun also spoke on the Kwara Resident Identification Project which is conducted by the State government to get the database of the residents of Kwara so the government can through the database generated make necessary provisions for its citizens. He however elucidated the importance of having the KRIN number which would be beneficial to the residents of the State at some point of accessing government facility from next year. He stated that KW-IRS would engage the traditional rulers to coordinate revenue collection for KW-IRS. The Elesa of Oke-Ode requested to know if the rate for urban and rural is the same while HRH. Oba. Agboola (A.S), admonished the management of the Kwara State Internal Revenue Service (KW-IRS) to itemize the necessary payment via documentation and translate it to the major languages in Kwara. He said this would guide people and educate them on what to pay for and how much to pay. He further explained that this would also be a form of check and control for any fraudulent case. In his closing notes, the EC, KW-IRS appreciated all the Royal Fathers, Council and Legislative members present. He commended them for their suggestions and questions. He answered the question of the Elesa by stating that the property tax for the rural area is different from that of urban area. He stated that KW-IRS would run with the suggestion of the HRH. Oba Agboola (SA) to document the various categories of payment. The courtesy train of the Kwara State Internal Revenue Service (KW-IRS) stopped at the Olupo’s Palace at Ajase-Ipo in Irepodun Local Government Area on 2 June 2016. 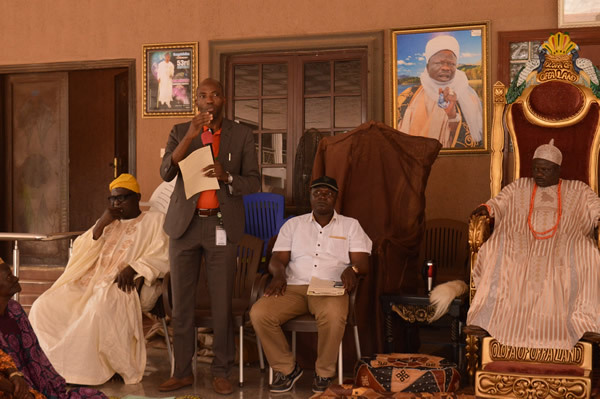 The Executive Chairman, KW-IRS, Dr. Muritala Awodun led the KW-IRS delegates to connect with the blessings of the Olupo of Ajase-Ipo, Oba, Alhaji. Sikiru Atanda Sanni Ilufemiloye Woleola II. Speaking at the palace, Dr Awodun gave an overview of the functions of KW-IRS as established by the Kwara State Revenue Administration Law No. 6 of 22 June 2015. He was full of appreciation of the Olupo for receiving the KW-IRS team in his palace. He made reference to the importance of blessings of elders for accomplishment in any task especially a State task which the KW-IRS management and staff are undertaking. He explained the need for KW-IRS to seek the support of the people of Ajase-Ipo for effortless revenue collection in their community especially as it relates to the 2 major markets domicile in Ajase-Ipo with the Kara market being the biggest. Dr Awodun made it clear that his team is open to the advice of the Oba on the mode of revenue collection for Ajase-Ipo because KW-IRS always bears in mind the peculiarity of every community within the State. He quickly shed light on the reason why KW-IRS took over the collection responsibility of the Local Governments. This he said was to resolve the challenge of multiple taxation through the harmonization of revenue collection. This was done with the consent of all the Local Government Chairmen by a signed Memorandum of Understanding (MOU). In his opening address, the Olupo of Ajase-Ipo gladly received the KW-IRS team. He gave kudos to the management of KW-IRS for deeming it necessary to pay a visit to Ajase-Ipo town. The Oba categorically said that there is no comparison between the Kara market and the regular market in Ajase-Ipo because the Kara market is the initiative of the people of Ajase-Ipo which dates back to the reign of his late father. The Olupo stated that KW-IRS can only collect revenue on the cows that are brought into the market. He stressed that the cows going out of Ajase-Ipo town as a result of purchase is for the development of Ajase-Ipo town and its people. He decried the level of development at Ajase-Ipo Kara market despite the great contribution of the town to the economic development of the State because the market is the most patronised Kara market in the State and have its market day operational every 5 days. This implies that people from all over the country come to Ajase-Ipo every market day to sell or buy cow at the Ajase-Ipo Kara market. Oba, Alhaji. Sikiru Atanda Sanni Ilufemiloye Woleola II further complained about the lack of basic amenities at the Kara market. He requested the State Government to provide palliatives at the Kara market in terms of perimeter fencing, water and ultra-modern toilet facility. He explained that since government collects revenue from the market, it should use the funds to develop it. He lamented on losses incurred weekly at the Ajase-Ipo Kara market because some of the cows brought for sale run away due to lack of perimeter fencing. The Oba, (current and previous), or the Chairman, Butcher’s Association of Ajase-Ipo who is also the architect of the Ajase-Ipo Kara market have had to pay for the cost of missing cow from their pocket. The Olupo however advised the Executive Chairman, KW-IRS to allow the Iyaloja and Babaloja of the Ajase-Ipo market to assist collect the revenue for the Kara market and the regular market on behalf of KW-IRS. According to him, the major people in the Kara market are the Hausa people who are renowned in the cattle business. He explained that the language barrier may hinder effective collection from the market. The Chairman, Butchers Association, Alhaji Omo Okunola, a co-founder of the Kara market in conjunction with the late Olupo of Ajase, the father of the present Olupo of Ajase-Ipo, in his address to the KW-IRS team emphasized the need for the Kara market to be urgently fenced He also revealed that water supply is a huge challenge at the market especially now that the two wells dug by the community are completely dry. The Executive Chairman, KW-IRS in his response promised to convey the request of HRM, Olupo of Ajase-Ipo land and that of the people to His Excellency. He explained that, the law that constituted KW-IRS also empowered it to advice the State Government of the pressing needs of the people as it relates to different communities. He also shed light on the Community Impact Project (CIP) which is conducted monthly by the KW-IRS with the purpose of giving back to the society in its own little way. He mentioned some of such projects already conducted which are: the clearing of Ipata market abattoir, the cleaning of Alapa market, and the provision of ultra-modern toilet at Ago-market, among others. He further promised that the Service will also impact on the Ajase-Ipo Kara Market. The KW-IRS delegates took a tour round the Kara market to gain insight into suggestions to the State Government using its feedback privilege. On getting to the Kara Market, the Executive Chairman, KW-IRS engaged the Seriki Kara (Head of the Kara market) in a discussion to hear his own view as the head of the market. The summation of Seriki Kara was not different from that of the Olupo of Ajase-Ipo land, the Iyaloja and that of Alhaji Okunola. Dr Awodun again reassured the community of his commitment to passing their message to the Executive Governor.